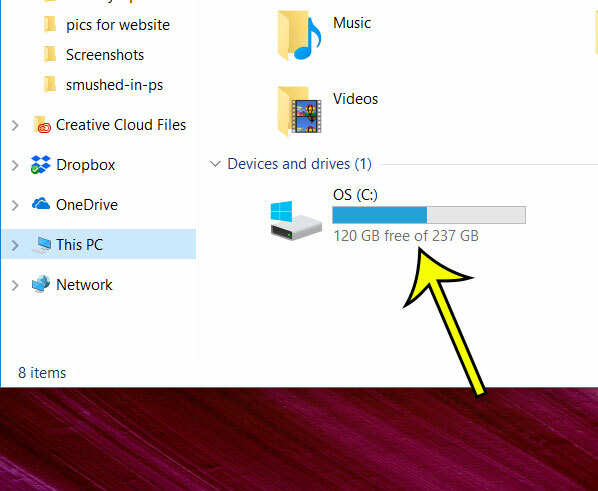 Home Microsoft Windows 10 How Can I See My Remaining Storage in Windows 10? Computer hard drives have gotten quite large in recent years, leading to more and more users worrying less about the amount of hard drive space that they have left. But this increase in hard drive capacity has been offset somewhat by the increase in media file sizes for things like pictures and videos. Long, high-resolution videos can often be hundreds of MB, even GB, in size, and many popular games can be tens of GB as well. 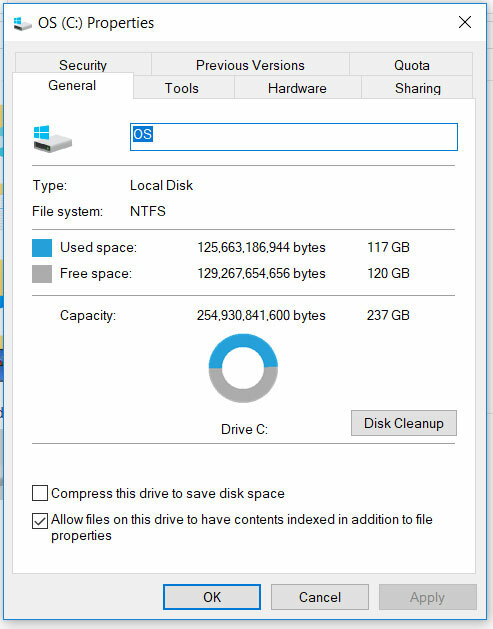 So if you are concerned that you may be running low on space in your Windows 10 hard drive, our guide below will show you how to check. The steps in this article are going to show you where to find the screen that displays your hard drives, as well as any hard drives that are connected to your computer. 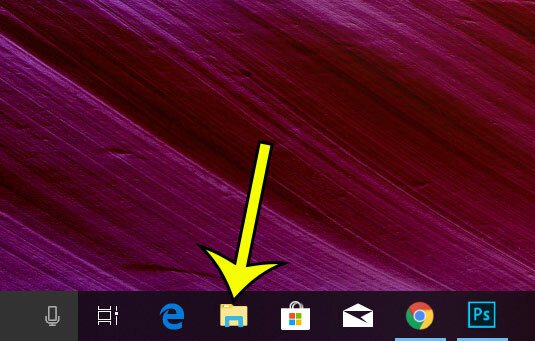 Step 1: Click the folder icon in the taskbar at the bottom of your screen. Step 2: Select the This PC option in the left column of this window. 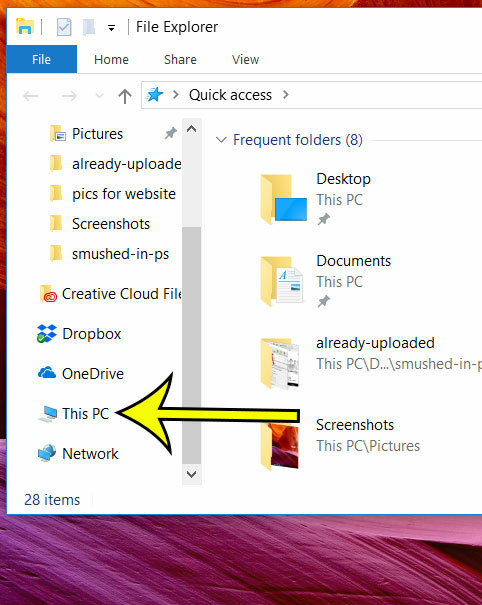 Step 3: Locate your hard drive in the Devices and drives section at the bottom of this window. If you would like a little more information you can right-click the hard drive, then choose the Properties option. You will then see something like the screen below. Does it feel like your computer takes a long time to start up? Find out how to view and change your startup apps so that you can improve this load time by removing some of your startup items.